Abbot Geoffrey Scott teaches modern Church History at Blackfriars Hall, Oxford. He is Abbot of Douai Abbey; the Abbey of St. Edmund, King and Martyr, is a monastery of the English Benedictine Congregation. It was established in Paris in 1615, transferred to Douai, France, in 1818, and settled at Woolhampton, in West Berkshire in 1903. A number of parishes are run from the abbey which has a flourishing guest department, and an important library and archive which holds the archives of the English Dominican Province. Abbot Geoffrey Scott is also President of the Catholic Archives Society and Vice-President of the Catholic Record Society. 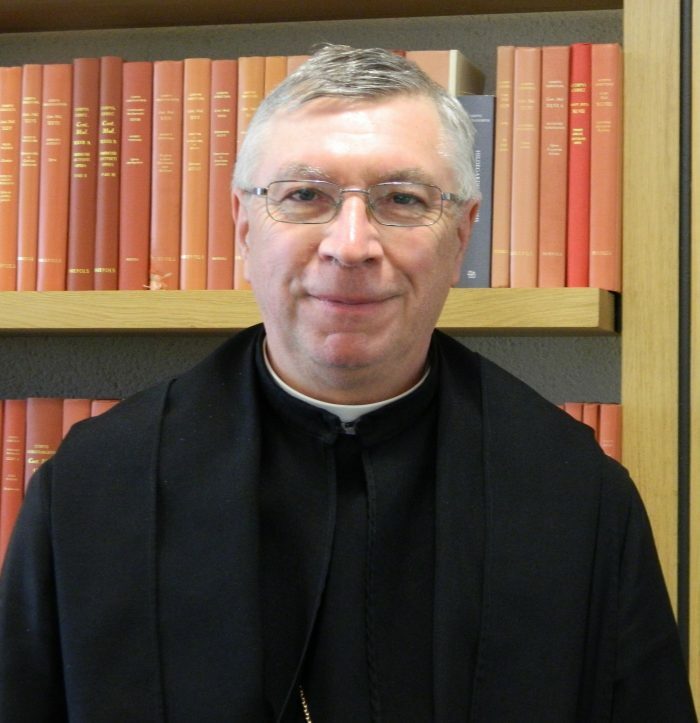 He is a member of the Patrimony Committee of the English and Welsh Bishops’ Conference and Annalist of the English Benedictine Congregation. He is a Fellow of the Society of Antiquaries and the Royal Historical Society, and has lectured at St. Mary’s College, Oscott and St. John’s Seminary, Wonersh.